Allentown, PA - W2A provided design services for the relocation of the Pediatric Specialty Practices from LVHN’s Muhlenberg campus, into 16,000 square feet of the 1210 MOB, on its main I-78 & Cedar Crest Campus. This move enables the practices of: Pediatric Pulmonary Medicine and Cystic Fibrosis; and Pediatric Gastroenterology, Hepatology, Neurology and Nutrition, to grow their practices and provide essential pediatric specialty services in an exciting and child-friendly environment convenient to the main hospital facility. Although spatially the different groups are contiguous and share common spaces and services within the suite, each specialty was provided with a unique color identity from a shared palette, which also provides excellent cues for architectural wayfinding. Pediatric Gastroenterology, Hepatology, Neurology And Nutrition. Reception & Check-In. A water theme symbolically flows through the spaces as a wave on the walls, floors and privacy window films; with each exam room having its own “beach” inviting patients to enter from the Corridor. 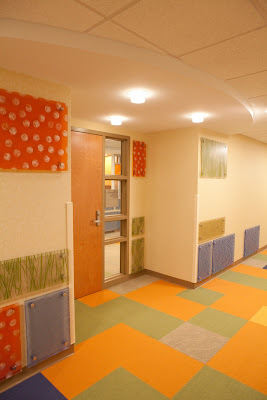 Materials are durable, and provide interest and excitement for both the pediatric patients and their families. 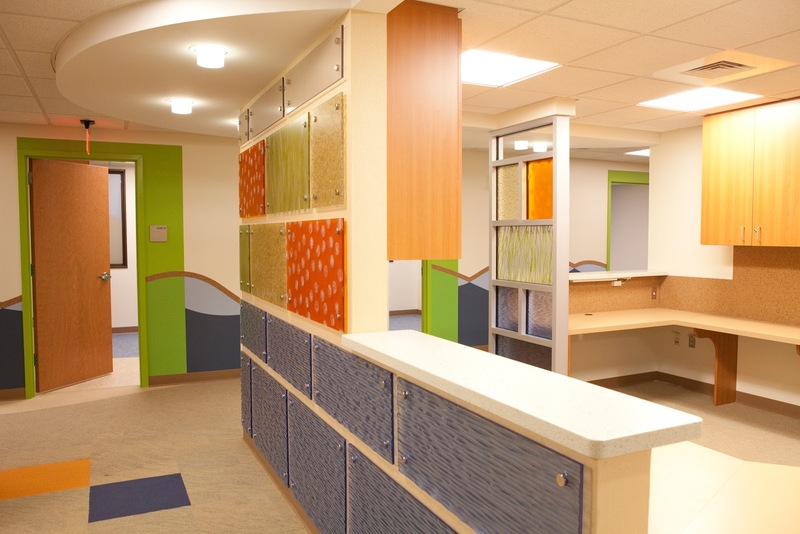 Visual interest and patient privacy were achieved with the use of colorful semi-opaque resin panels, incorporating both the nautical theme and the color branding of the individual specialties throughout the space. Thoughtful placement of ceiling soffits mimicking clouds floating above the beach, provides focal elements and enables spatial orientation in the long corridors. 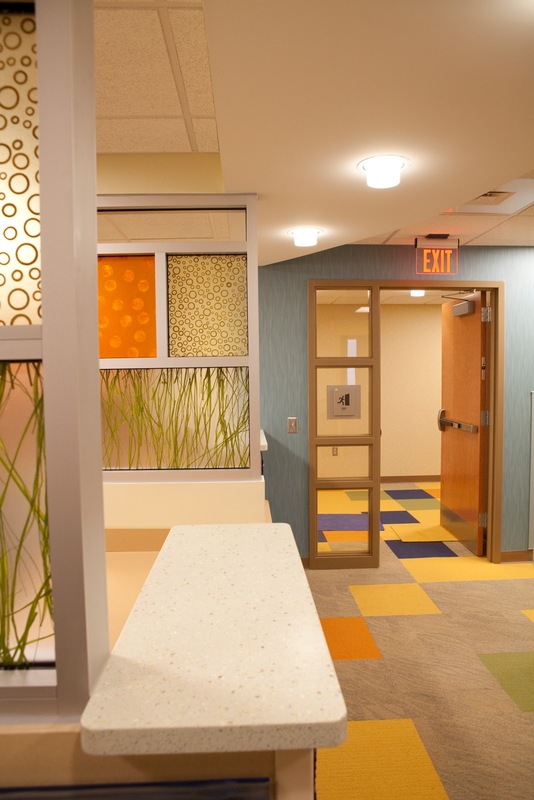 The clouds also add variety to the physical scale of the spaces, evoking pleasant sensory experiences for the staff, pediatric patients, and their families. "I want to thank each and everyone for all of their extraordinary efforts in developing the beautiful Pediatrics Specialty Center practices' space at the 1210 building. This is the most beautiful design I have ever seen for a physician's practice! Thank you for your patience and understanding as we moved around the various hurdles that presented many challenges for you all as well. It was a true pleasure working with all of you!"